Find your flow! 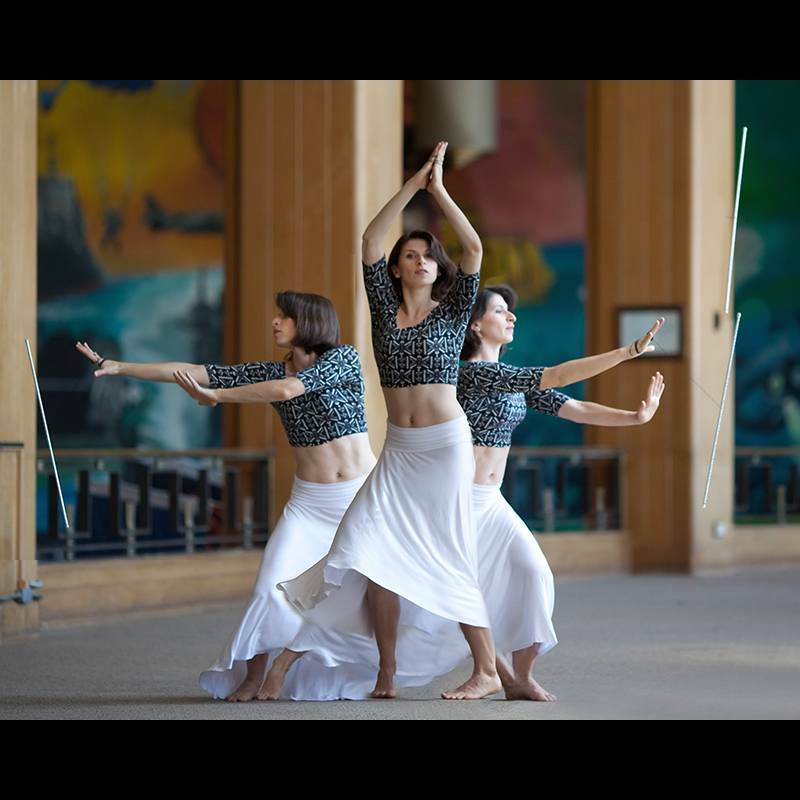 Join us and take your first step into the wonderful world of movement arts and object manipulation. Explore movement, space and rhythm, while improving your grace, coordination and focus. 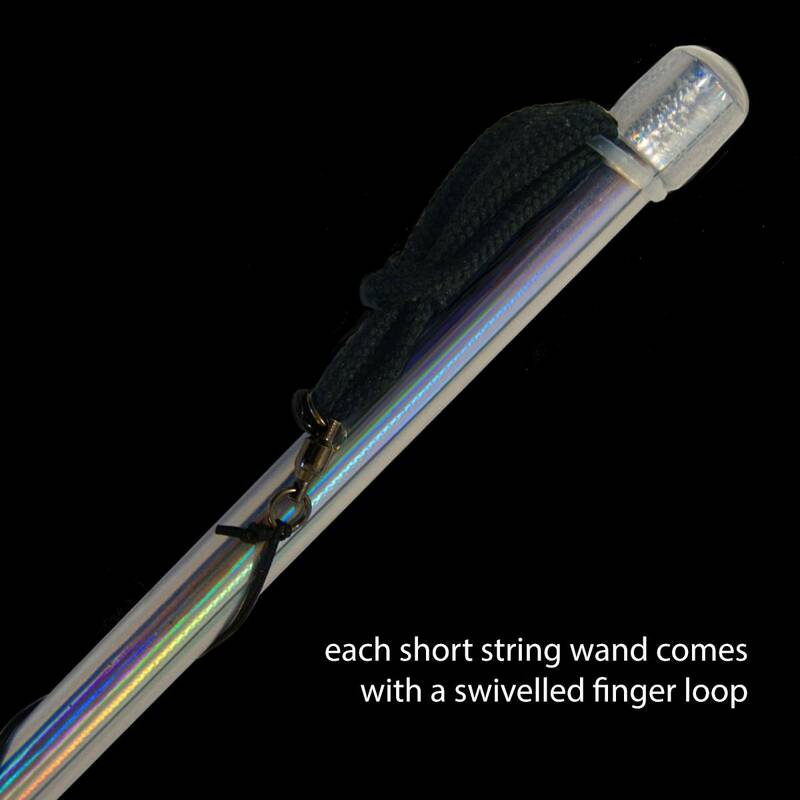 All flowtoys wands are handmade by us, using high quality materials and tapes with beautiful light effects. Our wands are hand-finished with end caps and heatshrink to give them a polished professional look, where your tape edges will never peel up. 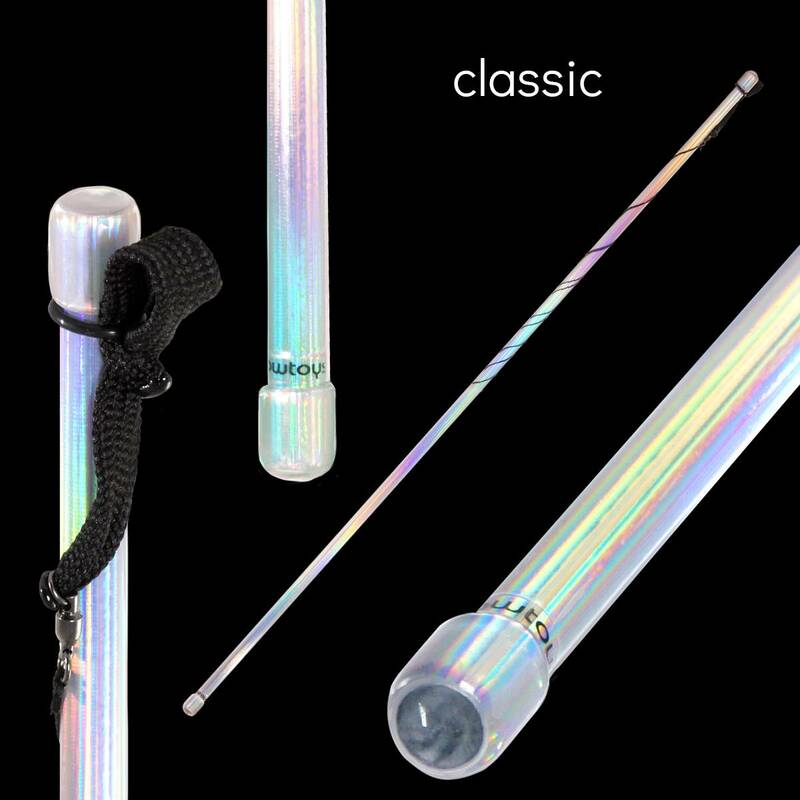 Classic: The original flow-wand with rainbow holographic silver sheen that bursts into slivers of rainbow when hit by a light source. Amazing in sunlight. Silver sparkle: Covered in tiny rainbow hoops that sparkle in any light. Firefly: Classy green and gold sheen that switches between the 2 colors depending on the angle that you view it, plus it's UV active! Arctic glow: Beautiful ice-crackle and white iridescent finish. Glows in the dark. Ruby red: Tiny ruby red rhinestones decadently patterned along the full span of our favorite UV-reactive golden green firefly tape. 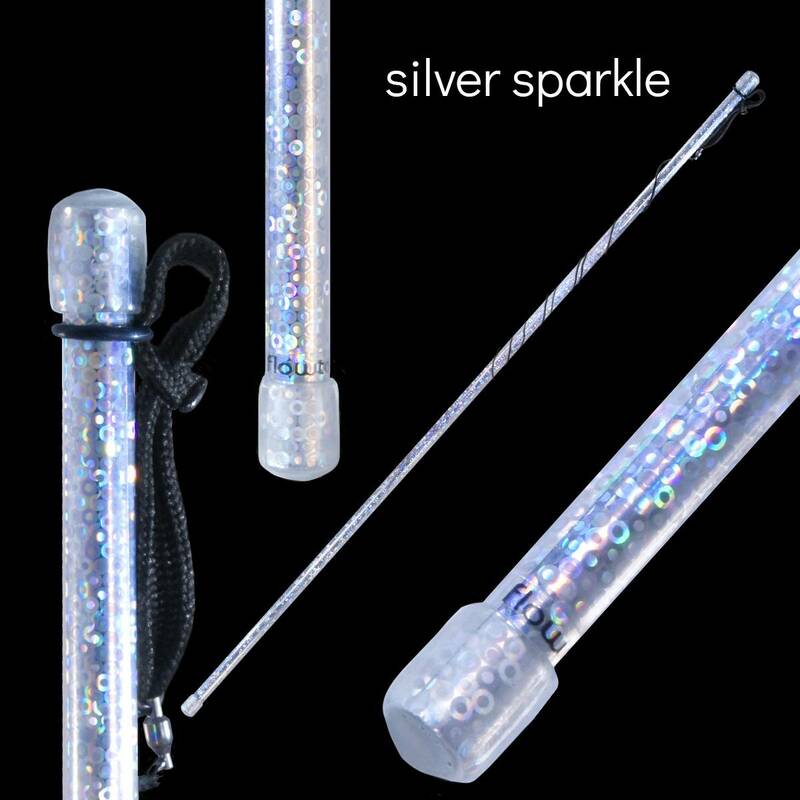 Candy crush: Encrusted in a rainbow of tiny rhinestones and underlaid with iridescent UV-reactivity, the "candy crush" wand will give you a sugar rush. This is just a wonderful set. The video instruction is very well done and easy to understand. 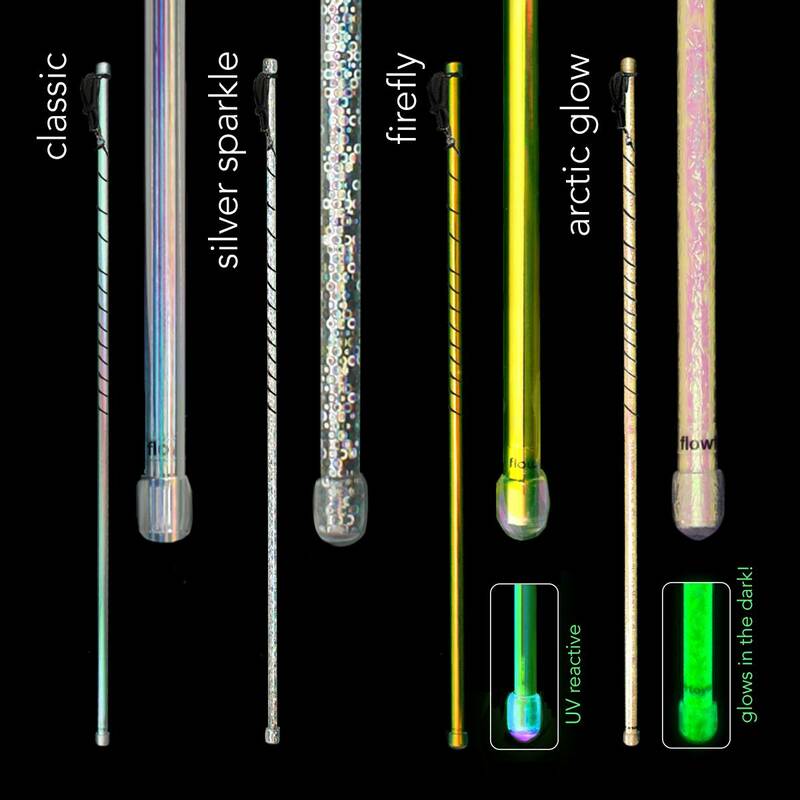 The wands are just perfect. I ordered a Candy Crush wand in the set and it's become my favorite wand. The extra weight makes it a fantastic wand for beginners like me and it's so pretty. 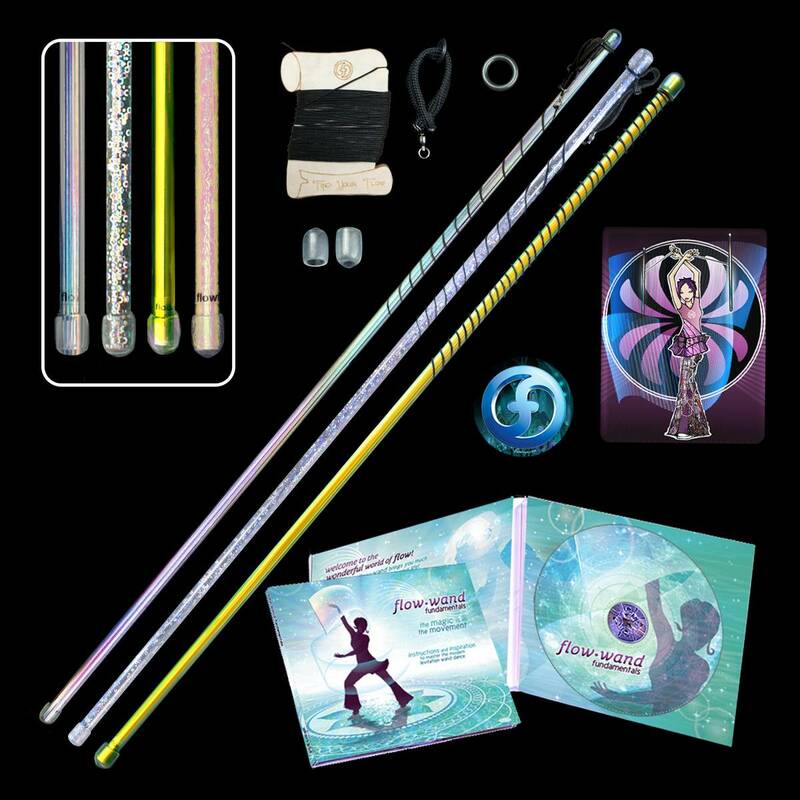 I haven't tried the long string wand yet, but looking forward to it. Thank you so much for a great product. As a beginner, my first wand was one of your classics. I like working with both types, the non-rhinestone kind and the rhinestone kind. They move differently .